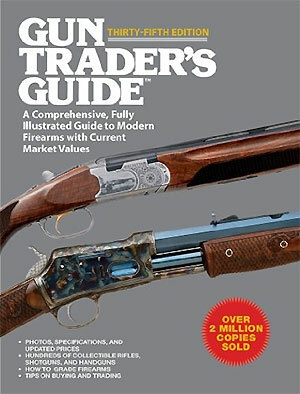 The new, 37th Edition of the Gun Trader’s Guide has just been released. This fully-illustrated resource features current market values for thousands of rifles, pistols, and shotguns. This 37th Edition, now with over 1000 photographs, includes dozens of new entries added since the previous edition. 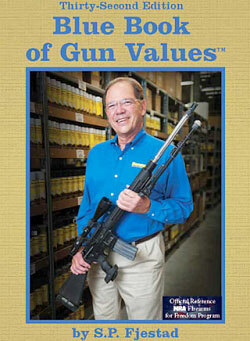 Along with the Blue Blue of Gun Values, the Gun Trader’s Guide is one of the two definitive resources on gun prices. If you buy or sell firearms, the Gun Traders’ Guide is a must-have item that will pay for itself. 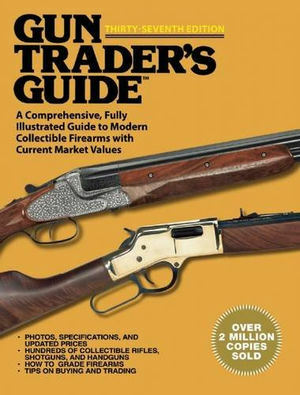 Over two million copies of the Gun Trader’s Guide have been sold to date. Order soon to be one of the first to own the new 37th Edition. Amazon’s price is $23.24. If you don’t want to lug the big book around, a Kindle (electronic) Edition of the 2014 Gun Trader’s Guide to Rifles is available for just $16.17. This 608-page eBook edition of the 2014 Guide can be viewed on a Kindle, iPad, laptop, or your home computer. This is handy if you want to access gun values at a gunshop, estate sale, or auction. 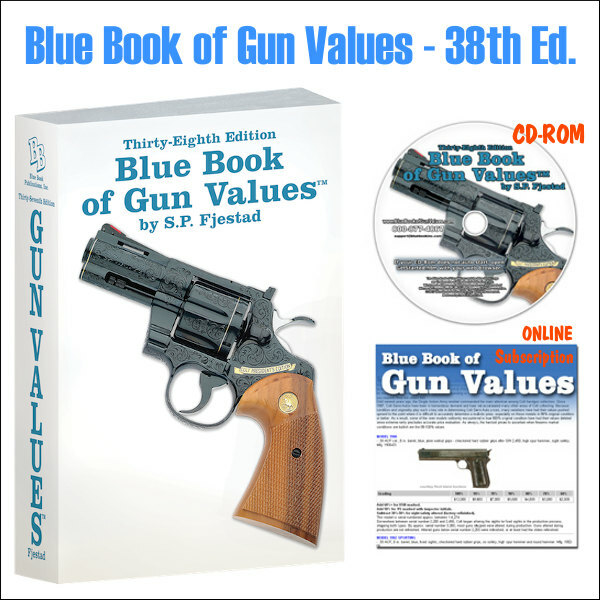 You can order the Gun Trader’s Guide, the Blue Book of Gun Values and other popular firearms and shooting books through the AccurateShooter.com Bookstore. To save you time, we’ve collected the best books on shooting, reloading, hunting, and gunsmithing all in one location. Ordering, secure billing, and shipping are all handled efficiently by Amazon.com. Share the post "Gun Trader’s Guide (37th Edition) Just Released"
The new, 35th Edition of the Gun Trader’s Guide has just been released. This fully-illustrated resource features current market values for thousands of rifles, pistols, and shotguns. This 35th Edition, now with over 1000 photographs, boasts one hundred new entries since last year’s edition. 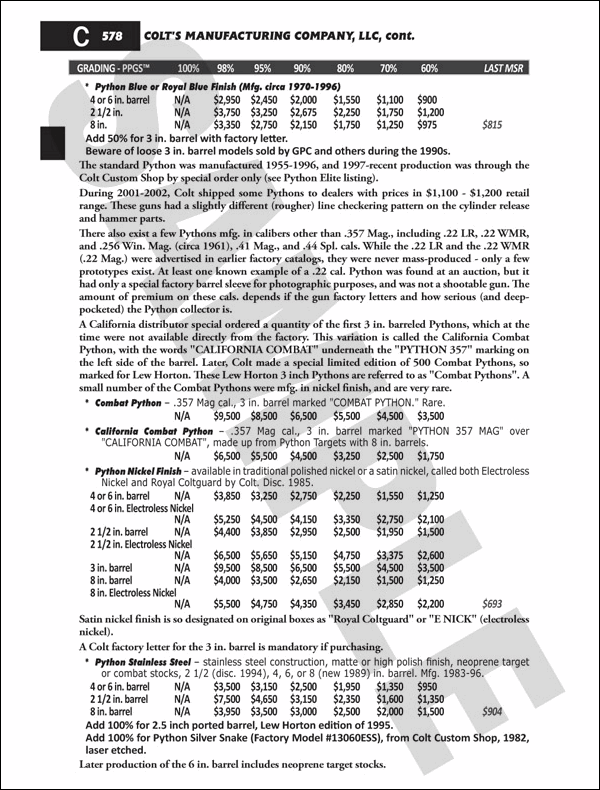 Along with the Blue Blue of Gun Values, the Gun Trader’s Guide is one of the two definitive resources on gun prices. If you buy or sell firearms, the Gun Traders’ Guide is a must-have item that will pay for itself. 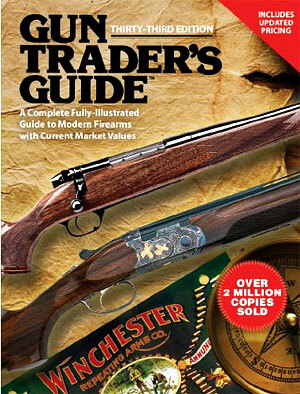 Over two million copies of the Gun Trader’s Guide have been sold to date. Order soon to be one of the first to own the new 35th Edition. Amazon’s price is $22.97. New this year is a Kindle Edition of the Gun Trader’s Guide to Rifles. Packed with 608 pages of material, this eBook edition of the Guide can be viewed on a Kindle, iPad, laptop, or your home computer. Introductory price is just $16.47, with release slated for September 13, 2013. You can pre-order now via Amazon.com. 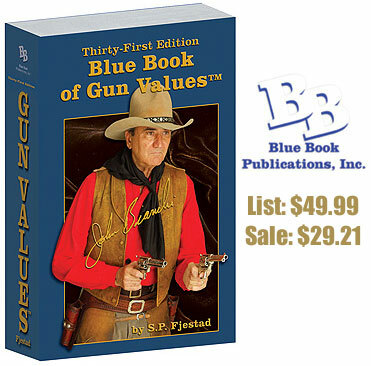 You can order the Gun Trader’s Guide, the Blue Book of Gun Values and other popular firearms and shooting books through the AccurateShooter Bookstore. To save you time, we’ve collected the best books on shooting, reloading, hunting, and gunsmithing all in one location. Ordering, secure billing, and shipping are all handled efficiently by Amazon.com. Share the post "Gun Trader’s Guide (35th Edition) Just Released"
The new, 33rd Edition of the Gun Trader’s Guide has just been released. This fully-illustrated resource features current market values for thousands of rifles, pistols, and shotguns. 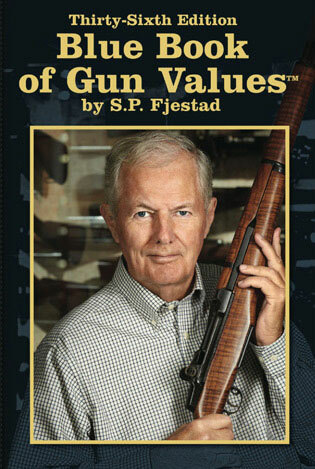 Along with the Blue Blue of Gun Values, the Gun Trader’s Guide is one of the two definitive resources on gun prices. If you buy or sell firearms, the Gun Traders’ Guide is a must-have item that will pay for itself. Over two million copies of the Gun Trader’s Guide have been sold to date. Order soon to be one of the first to own the new 33rd Edition. The price is $18.40 plus free shipping with a total order over $25.00. You can order the Gun Trader’s Guide (33rd Ed. 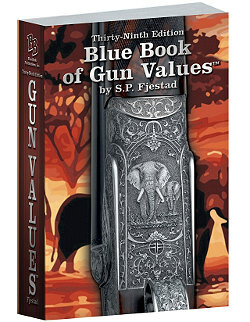 ), the Blue Book of Gun Values and other popular firearms and shooting books through the AccurateShooter Bookstore. To save you time, we’ve collected the best books on shooting, reloading, hunting, and gunsmithing all in one location. Ordering, secure billing, and shipping are all handled efficiently by Amazon.com. 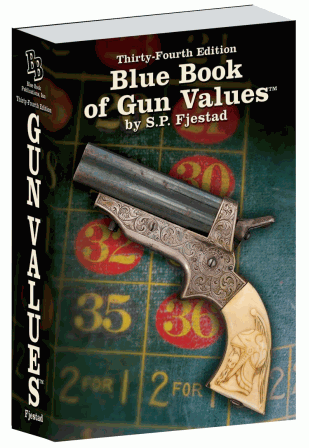 Share the post "Gun Trader’s Guide (33rd Edition) Just Released"
The Blue Book of Gun Values, by S. P. Fjestad, is the top-selling book in our AccurateShooter Bookstore which operates through Amazon.com. 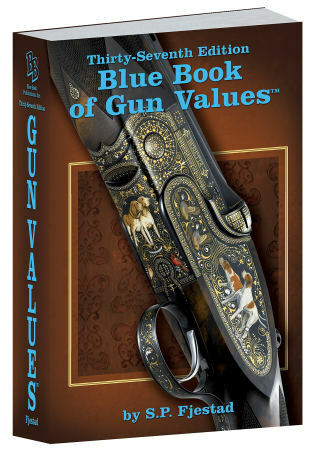 You can still get the current 2320-page, 31st Edition of the Blue Book of Gun Values for just $29.89 with FREE Shipping. 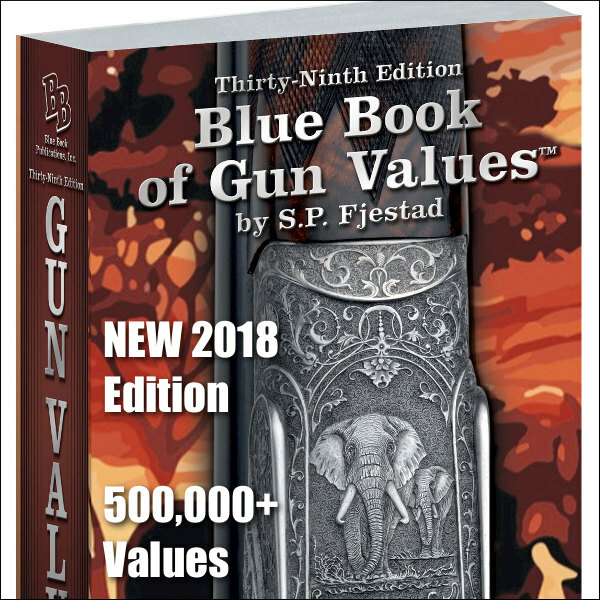 But if you want the lastest, most current gun values, you’ll want to get the updated 32nd Edition of the Blue Book, slated for release next month in April. To get the new edition as quickly as possible, you can pre-order the 32nd Edition of the Blue Book for $49.95 with FREE shipping. 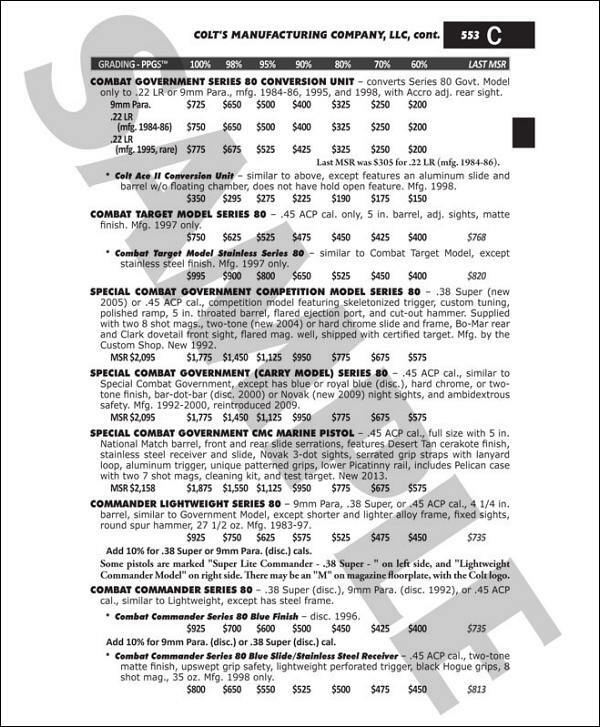 The new 32nd Edition has been expanded, and all gun values have been thoroughly updated for both modern and antique firearms, including military-style guns. It also includes new 2011-model guns, both US-made and imported. Other features include an 80-page Photo Percentage Grading System to aid in accurately determining condition of firearms, plus serialization and proofmark sections to help identify firearms. 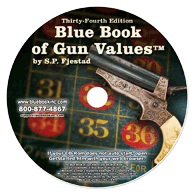 Share the post "Pre-Order 32nd Edition of Blue-Book of Gun Values"